When Ciara O’Toole and her husband move to Lake Como, Italy, they make plans – to run their own businesses, to learn the language and to immerse themselves in the Italian way of life. But just a few months into the adventure Ciara’s marriage ends and she finds herself alone in a country where she doesn’t speak the language. She is faced with a choice: return to Ireland or stay in Italy and make her new life work. Determined to make a go of it, she throws herself into everything – forging new friendships – whirlwind romances, attempting to eat her own weight in four-cheese pizzas … and learning to fly a seaplane! Her new passion grips her as she works tirelessly towards an all-important milestone: her first solo flight. 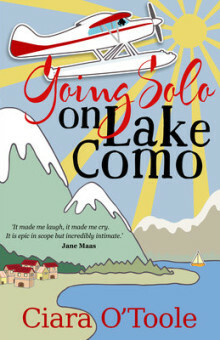 Told with warmth, humour and disarming honesty, Going Solo on Lake Como is the inspirational story of how one woman finds her wings and takes to the skies. Ciara O’Toole is a fun-loving entrepreneur who splits her time between Como, Italy and Dublin, Ireland. She has worked in senior marketing and strategic roles with L’Oréal, Johnson & Johnson, Red Bull, Diageo, the Irish National Lottery and Social Entrepreneurs Ireland. 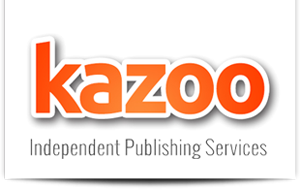 She founded and runs The Cat’s Pyjamas Strategic Marketing in Dublin and holds a private pilot’s licence for single-engine aircraft on both land and sea, having completed her seaplane training at the Aero Club Como and her land training at Weston Airport in Dublin. Ciara has an honours commerce degree from University College Dublin (UCD) and is an honours marketing graduate of the UCD Smurfit Graduate Business School. Going Solo on Lake Como is Ciara’s first book. iara O’Toole is a fun-loving entrepreneur who splits her time between Como, Italy and Dublin, Ireland. She has worked in senior marketing and strategic roles with L’Oréal, Johnson & Johnson, Red Bull, Diageo, the Irish National Lottery and Social Entrepreneurs Ireland. She founded and runs The Cat’s Pyjamas Strategic Marketing in Dublin and holds a private pilot’s licence for single-engine aircraft on both land and sea, having completed her seaplane training at the Aero Club Como and her land training at Weston Airport in Dublin. Ciara has an honours commerce degree from University College Dublin (UCD) and is an honours marketing graduate of the UCD Smurfit Graduate Business School. Going Solo on Lake Como is Ciara’s first book.